Brooklyn, NY-based pop experimentalists Yeasayer are feeling the love this Valentine's Day, and they hope you do too. This morning (February 14), the outfit uploaded a new single onto their website that you can send to your loved one for free. We're not sure it will completely erase the need to buy some chocolates or roses, but it's definitely a sweet treat to give someone. 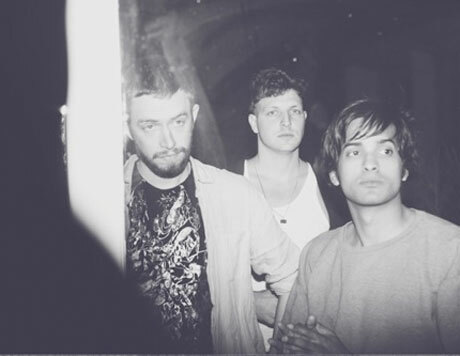 The single focuses on epic electro ballad "I Remember," originally off Yeasayer's Odd Blood album, and features a couple of remixes of the track done by Villa and Painted Palms. If that weren't enough, the band have also just premiered a video for the track. You can check out the oddball clip, which finds a mustached biker getting his upper lip licked by a younger lady, among other things, below. Today also marks the announcement of a new Yeasayer tour. Starting in May, the band will make the rounds across North America, with Britpop-inflected youngsters Smith Westerns accompanying them on most dates. Yeasayer will hit up Vancouver, Toronto and Montreal. Yeasayer Share New Song "I'll Kiss You Tonight"
Yeasayer Bless Fans with 'Amen & Goodbye' Tour Dates, Premiere "Silly Me"